The original Gyp-Crete® Floor Underlayment is designed for use in multifamily housing to achieve UL Fire Rated Design and enhance acoustical performance. 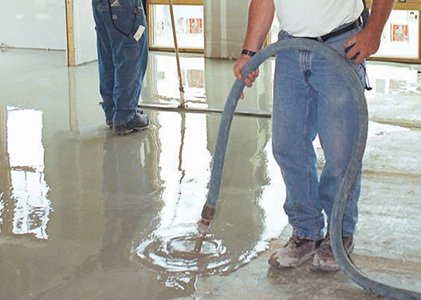 Gyp-Tech, Inc. has been in business for more than 20 years offering concrete work and restoration. Family owned & operated, Gyp-Tech, Inc. expanded its product offerings in 2005 to include poured gypsum and self-leveling underlayments to provide customers with a broader range of product offerings. In 2013, Gyp-Tech joined the Maxxon Authorized Dealer network. From multifamily construction to custom homes, Gyp-Tech, Inc. provides superior service using the highest quality gypsum floor underlayments, sound control mats and cementitious, self-leveling underlayments. The company is a member of the Gold Coast Builders' Association and the Associated Builders and Contractors. As an Authorized Maxxon Applicator, Gyp-Tech, Inc. provides a variety of rock-solid, fire-resistant, and sound-rated floor system solutions to meet your project's criteria. 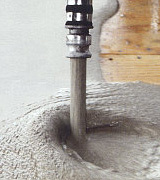 With five gypsum floor underlayments, ten sound control mats, four cementitious self-leveling underlayments, and several other specialty products including solutions for deep fill and moisture mitigation, Maxxon Corporation and Gyp-Tech, Inc. offer a wide range of flooring solutions for the most demanding project specifications.